We don’t have to tell you how great your kids are – and we know just how much they make you smile. And when you do, you wonder if you’re doing everything you should to take care of your children’s teeth. Sure – you make sure they brush, and you’re working on flossing, but are you missing anything when it comes to their oral hygiene? 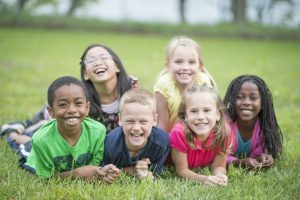 In this post, your respected family dentist in Collierville shares the tips you need to keep your children’s smiles shining bright. Take this course in Kid’s Teeth 101 from Dr. Joshua Holcomb to learn more. Even though your child’s baby teeth will eventually fall out, it’s important to care for them just like you would adult teeth. Once teeth erupt in the mouth, you can use a tiny dab of toothpaste to brush for your little one, and kids should have their first dental visit no later than their first birthday to check in with Dr. Holcomb to make sure their teeth and jaw are developing properly. To get kids excited about caring for their teeth and build a lifelong habit of proper oral hygiene, make it fun. You can keep your kids engaged by watching cartoons or reading children’s books about the dentist, using these coloring book pages and activity worksheets from the American Dental Association, and letting your child pick out the toothbrush they like best. Kids should brush and floss just like adults. Teach them to brush twice a day for two minutes, and to floss at least once daily. To monitor their technique, go through your oral hygiene routine right alongside your kids and play a fun song to make sure you brush long enough. And, encourage them to spit toothpaste out, since an overabundance of fluoride is too much of a good thing. As a parent, you know: kids are inundated with sugar. From snacks and treats like cookies and candies, to fruits and fruit juices, their developing dentitions face an onslaught from tooth decay causing sweets. Limit your child’s consumption of sugary foods and beverages, and switch to veggies and dairy products like yogurt for snacks. Say cheese, too, since this savory treat can help saliva remineralize teeth and protect against cavities. Once kids have teeth, they should see their children’s dentist in Collierville every six months, just like their older family members do. We’ll focus on education and preventive care like cleanings, sealants, and mouthguards for your young athletes to prevent dental emergencies. And, since we offer high-quality orthodontics, your son or daughter can continue seeing us if they need braces. Kids are perceptive – if you tell them to take care of their teeth, but they see you drinking soda, skimping on flossing, avoiding the dentist, or smoking, they’ll pick up on the underlying message that their smiles don’t matter. Be a good role model for your kid’s dental health – they’ll follow in your footsteps along the path to a lifelong winning smile. Now that you know some of the best tips to care for your children’s teeth, schedule an appointment with Dr. Joshua Holcomb for your son or daughter – we’ll make sure their healthy grin lasts a lifetime!